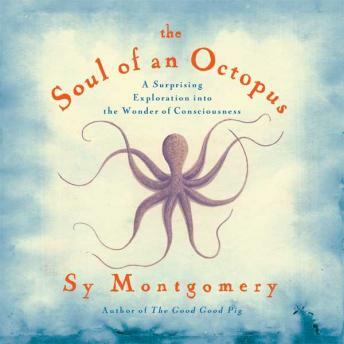 In this astonishing book from the author of the best selling memoir The Good Good Pig, Sy Montgomery explores the emotional and physical world of the octopus-a surprisingly complex, intelligent, and spirited creature-and the remarkable connections it makes with humans. I'd like to give a four and a half star rating, but I'll happily settle for five. The writing is mostly narration of small stories; often about octopuses, always about sealife, but really about the effects of relationships with minds outside our own. The best part about this though is the way the author narrates. Every story is a memory being recalled and the emotion comes through. When talking about all the facts learned along the way it's not just telling of neat things at a party. It's about exploring the differences between and still, somehow, coming out relating to minds foreign. As for the half star off, the book drags a little at the end where some filler takes place. But none of it is bad writing, it's just not things that seem to directly relate to the main story points being told.